Seasons keep changing from the sweltering heat of the summer to the pleasant chill of winter, from the colorful trees of autumn to the first bloom of spring, and we all have our own fascination with a particular season. Unlike the seasons, one thing that never seems to change is our insatiable desire for parties. Those of us who have not been blessed with such creative brains, or rather, those of us who have not been lucky enough to be born a woman, must be wondering how these amazing parties are brought about. 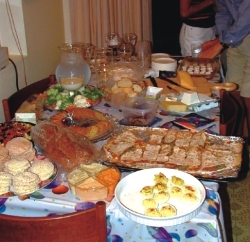 For your benefit, Lifestyle has interviewed two ladies who frequently entertain family, friends and co-workers, to give you an idea of how to organize a party! Mrs. Naseema Shawkat feels that planning a party is simple. Firstly, one must keep in mind the season. “What you plan obviously depends on the season. I mean you cannot possibly have an outdoor party in summer because your guests would simply die of the heat, especially in our country!” So Shawkat feels that if you are having a party in the summer time, it is best to have it inside your air-conditioned houses. Winter is a totally different matter altogether. In winter one can have parties both inside and outside, though outside is a better choice, since it will be nice and cool. The next important decision to make is who to invite. Depending on the guest-list, the rest of the party must be planned out. Shawkat feels that food and drinks must also be set accordingly to the season. “In winter, you can get fresh vegetables, and it is easy to make a variety of vegetable dishes. Also, wintertime is the time for “pithas,” “nehari,” “paya,” “naan” and other delicious items, which are specific winter foods. In summer, you do not get fresh vegetables, and so those dishes cannot be prepared." Next on her list is decoration. This is also very important, but mostly if the party is on a special occasion like a birthday or anniversary etc. 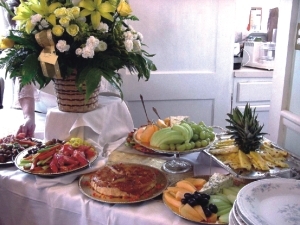 For casual get-togethers, she simply uses a nice silverware and a pretty table cloth. Shawkat is not much inclined towards music, unless she is hosting a musical evening. Sometimes however, she does bring out a few CDs with her favourite Bangla songs of yester year. 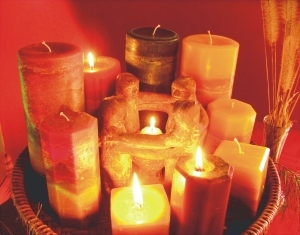 This helps to relax the mood, and puts everyone at his or her ease. Overall, she does most of her planning about a week ahead of the set date, and makes double sure that she has everything required for her party. The cooking is left till the day of the party, since she wants the food to be fresh, and not re-heated. This allows the flavour to remain in good condition. Next to be interviewed was Mrs. Selina Rahman. Though not a frequent party giver, her parties have always been met with success, because she takes a lot of care in the planning and because the effort in bringing about her bash is tremendous. That may be why she only celebrates special occasions. Starting the planning two or three weeks in advance is a necessity for Rahman. She finds that since there is so much to do, she always leaves something undone till the last minute, unless she has planned it at least two weeks in advance. This month, she is planning to celebrate the start of the New Year with a bang! First of all she decides on the venue and decor. Though winter in Bangladesh is always fluctuating, and some years it is only mildly cold, this year, the cold seems to have come with a fervour. However, she has decided to have a roof-top party, since previously she had an in-house one. Roof-top parties are a lot of trouble, but the sense of adventure is strong in her, and she has decided to go for it. Rahman claims that no party is complete without drinks, and so she always gets an ample amount of drinks, and cleans all her drinking glasses. However, she does respect the fact that not everyone appreciates drinking, and she usually reserves another room where people can sit and drink or perhaps smoke, according to their inclinations. For the children, she always keeps bottles of Coke and Sprite. As concerns the edibles, she feels that she is a good cook, and therefore she does the cooking herself, but sometimes she gets her sisters to come over and make a few dishes for her, which she is not too adept at preparing. This 31st, she plans to have a two course meal, the main course, and most importantly, the dessert. Since her party is in winter, she feels that for the main course, grilled food would be best. She has planned to have people on the spot to fry “parathas” and there will be of kababs and grilled chicken and perhaps a vegetable item or two and a beef dish. Since most people are health conscious nowadays, she has also decided that a variety should be kept in the form of “rumali rootis” and a duck roast. A 31st without music would be a sin, so for the youngsters, she keeps in mind to provide music, but she leaves that to her son. For her older guests, she prefers not to have music, since most people are more interested in conversing with each other, rather than listening to music. So even though it will be a 31st celebration, she will not make any arrangements for music or dancing, which she had last time. Finally, with a week's time in hand, she completes her guest-list, after conferencing with the rest of her family, and then sets about inviting the completed guest-list. Much more can be said on the theme of parties. In fact, much more can be said about “themed” parties themselves, however, for want of space, and lack of sleep, this correspondent says good bye for today, and hopes that this article has been helpful, even if it is the slightest bit! AS yet another year of mischief, fun and regrettably equal doses of hardships draws to an end, adults and children alike are gripped by an unavoidable mood to party. Adults may be thinking that they have innumerable pressures, even while planning out a New Year's party, but you can be rest assured that their troubles are nothing compared to those of their teenagers. How? Simply because even if they run out of ideas for themed parties, they can always invite their friends over to the various “balls” held at Dhaka Club, Gulshan Club, and Officers' Club etc, which always send beautifully coloured leaflets carrying in bold the words: “CHILDREN UNDER THE AGE OF 18 ARE NOT ALLOWED”. Otherwise, there are always the private parties at International Club or Privilege, where they definitely FORBID their children to go. How then are these adolescents to enjoy the countdown to the New Year? The little ones are taken care of by their parents, who plan out slumber parties for them, or devise some other method by which they too get to say their farewells to the past year. The teenagers, however, are not so lucky. Too old to suffer the humiliation of asking their parents to plan out their parties for them, and too young to go to the parties which their parents attend, these misfits are left to fend for themselves as well as they are able. More simply put, they just have the same old slumber parties. Just stock up on the chips and dip and the other junk food, get hold of some new movies and you are all set. The friends come over and the fun begins. Not very creative, you might say, yet highly enjoyable. It really is a wonder how we can still manage to entertain ourselves with childhood games and merriments, even when we are all grown up. Another group, who tend to prefer to act more their age, throws roof-top bashes! Perhaps if a band or two did live performances, instead of using the usual stereo music, this method of celebration may just take the top of the list. So if you are confused about how to spend your 31st, here is one fantastic method. And it does not end there. Most of these young people simply bide their time, waiting for their dear parents to go out. Then, it is off to a club and endless dancing, drinking (soft drinks I am sure!) and much more, though keeping a vigilant eye on the watch to make sure that they get home and into bed before their moms and dads. Of course, some are less troublesome, and prefer to “head-bang” through the evening at a concert, then partying themselves to death at some friend's house. Unattractive as this might seem to most anxious parents; it is actually a much better way to spend the time rather than to study for the upcoming O and A Level Exams! All work and no play is really not good for a child, so its time to give them a break too. Then again, there are those who actually like to have a “blast.” What I mean is, these youngsters have a get together at someone's house, and impatiently await the countdown. Once the clock strikes twelve, the world around them explodes in showers of fireworks and “potkas.” Unfortunately, this year there will not be much of this, since these items are happily banned. Though even if they are not very dangerous in themselves, they just might give some elderly neighbour a heart attack, believing them to be BOMBS! Life is much easier for the twenty something's in Dhaka. Or so it is commonly believed. With bombs going off almost like alarms it is small wonder that clubs and the like have been made off limits by even the most lenient parents, this years end. But that's not the say that these places will not be packed to the rafters. As they say, when there is a will there is a way. And when people of the aforementioned age are involved, a way is almost always found. Fear not. So what is so special about partying late into the wee hours of the morning? Is it the dancing? The singing? Or is it the feeling of joy and loss compounded as we bid adieu to yet another year of fun and frolic, or for the less fortunate, the lack thereof? Partying, or more appropriately clubbing, has found its way into our culture and lifestyles slowly but steadily. The irresistible charms of the sensual dresses, the high tempo music, the rhythmic dancing and of course the drinking ala the adoring superstars of television (yes don't try to deny it) is a charm too difficult to ignore. The complete loss of all inhibitions for once is also another useful contender. Clubbing is a common phenomenon amongst people who live abroad. Their rules are simple. Five days of good honest work, one day of ardent clubbing and one day of rest and recuperation. Us Bangladeshis are confidently moving to their end of the spectrum. Although frowned upon by the elders and the respected members of society, clubbing is something which is very common. After all when did a few old men contemplating stop the youth from having their requisite fun? Clubbing is fun. The music, which is one of the main reasons for this, is, shall we say, “intoxicating.” Starting from your ever popular Bon Jovis and the rest of the evergreen seventies and moving on to the slightly more punk in Green Day on to Usher and the hip hop artists like Nelly. Also recently popular is techno pop. Club music brings together a unique blending of styles to offer you the perfect music experience. And importantly, if you like the music, than all credit to the DJ. If you don't, then you aren't probably smart enough! The dancing is good but remember, to bring your own partner along because the male to female ratio would be somewhere around 64,000:1 roughly speaking! 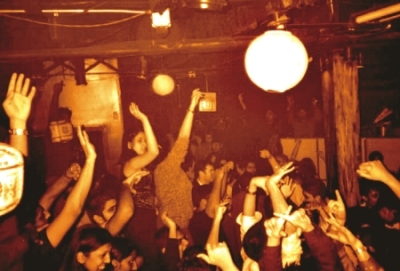 Ultimately though, clubbing in Dhaka is the same thing over and over again (what isn't?). The novelty is set to wear off soon if you keep meeting the same people only at different places. However, the charm shall remain till the end of this year at least and even if it hits a rough patch come the middle of next year, the interest shall perk up considerably again come years end. Who knows, by that time we may even have our own Tara Reid or Paris Hilton! For this year though- Many happy returns and happy partying!! I end with a quote. Simple, yet elegant.